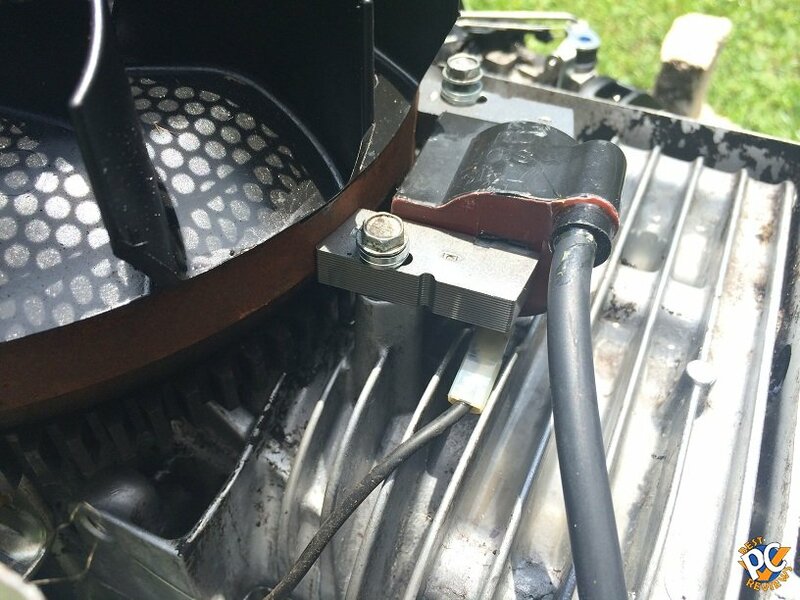 Today I’ll explain you how to replace ignition coil in a riding lawn mower. 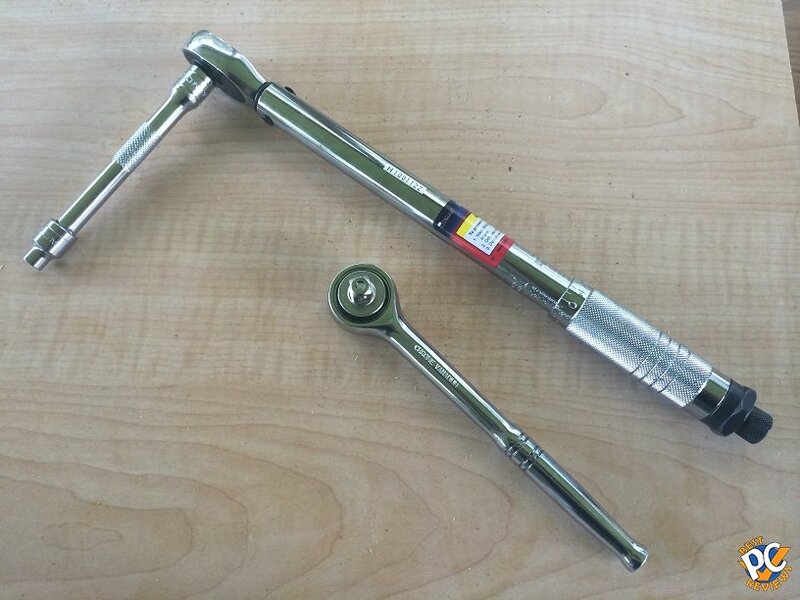 I was quoted by a mechanic to do parts and labor for $180, but it took me just one hour and part was $35. In this guide I’ll show you how to do the replacement step by step. Before we begin, I’ll give you symptoms of my lawn mower. My lawn mower would shut off after 15 minutes of work. I tried to start it again, but engine would shut off after couple of seconds. 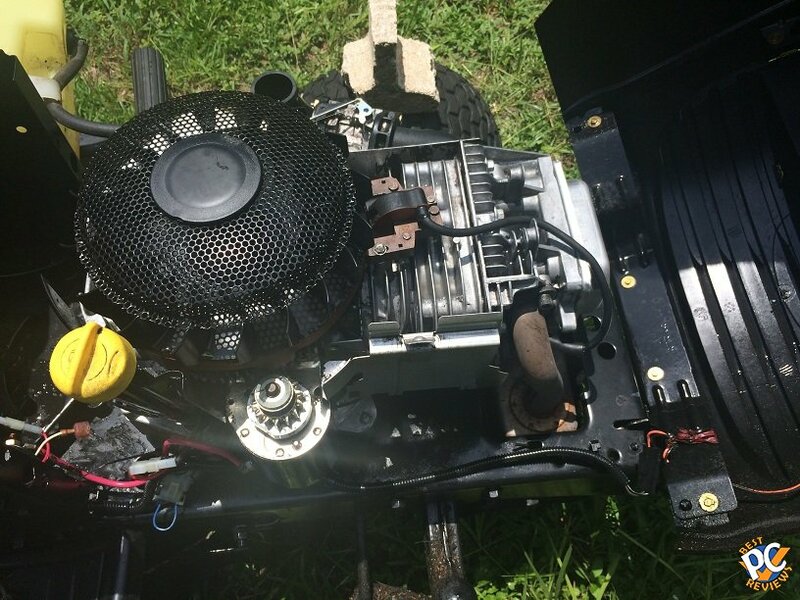 If I am not using the lawn mower for several hours, the engine would start and run for couple minutes. 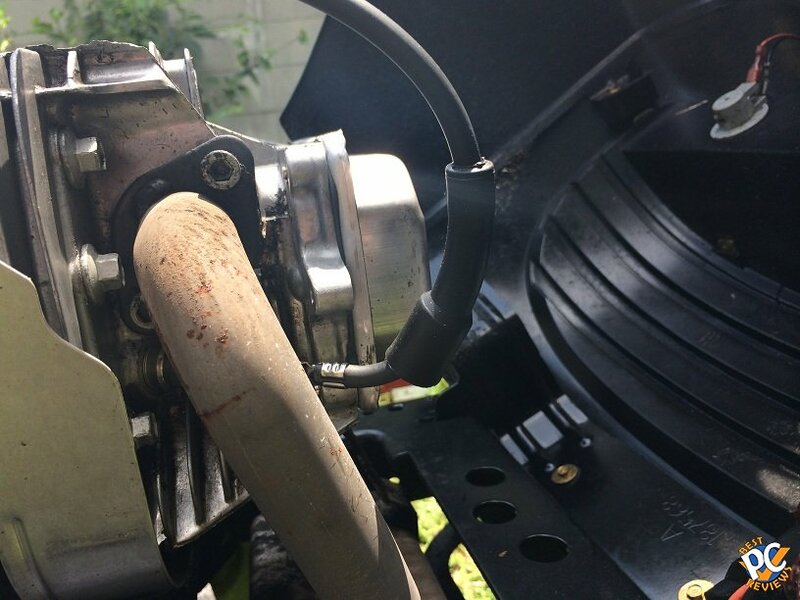 If you have same issues, there is a good chance it’s a bad ignition coil. When the faulty coil heats up, it stops working. Now, there are many places to order the part. Make sure you order the right one. Usually the part goes for about $35. 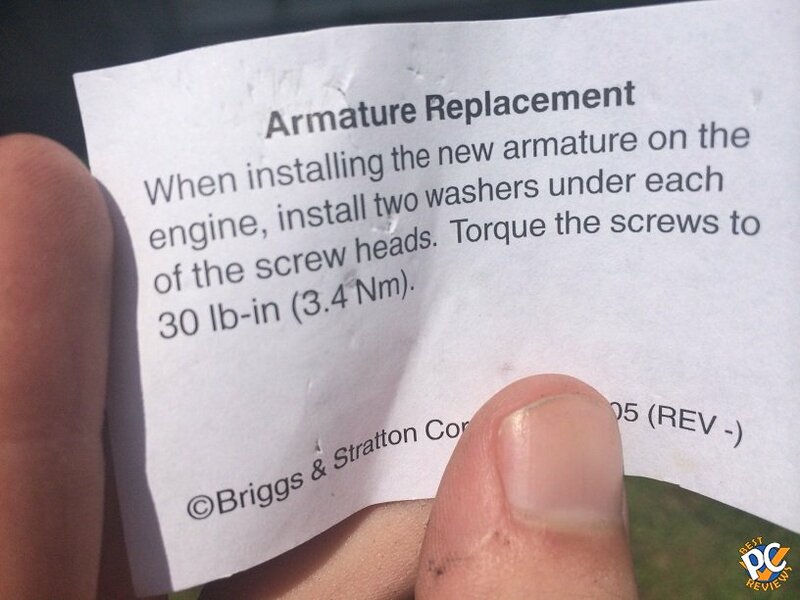 Make sure you get OEM replacement part. 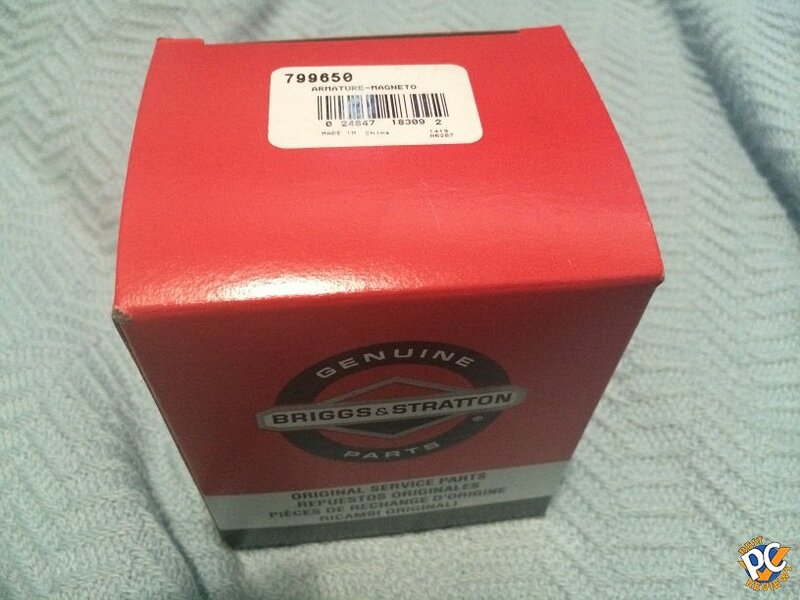 It is not worth buying something aftermarket. There are plenty on ebay and a whole bunch on lawn mower internet stores. 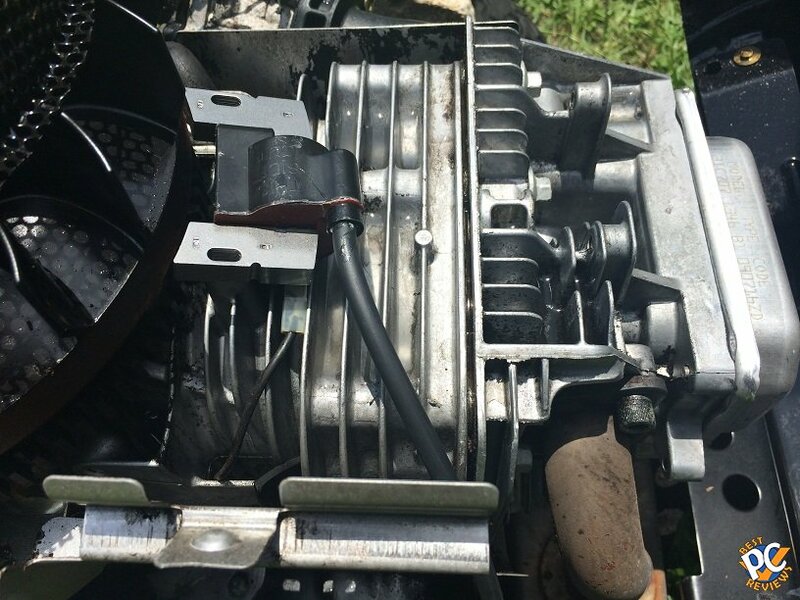 Now, before you begin, I highly recommend to spray engine degreaser all over the engine of the lawnmower. I don’t know about you, but I prefer to work in a clean area. 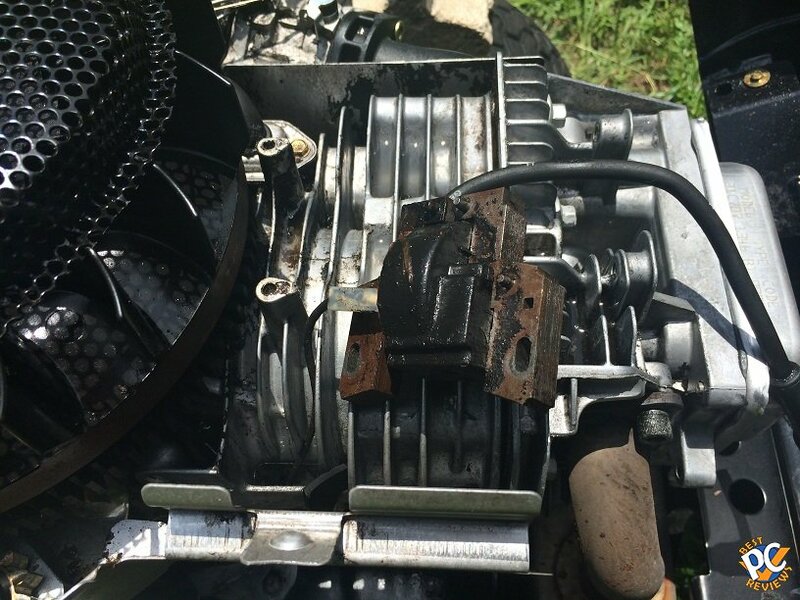 Give a couple of minutes and then spray off the engine degreaser from the lawnmower. Leave the lawnmower alone for at least 30 minutes and let it dry out. Next step is to remove the top engine cover. There are two screws in the back and two in the front. You may need to remove screws for the gas tank and move the gas tank out of the way if it’s tough for you to remove two screws between the gas tank and engine. 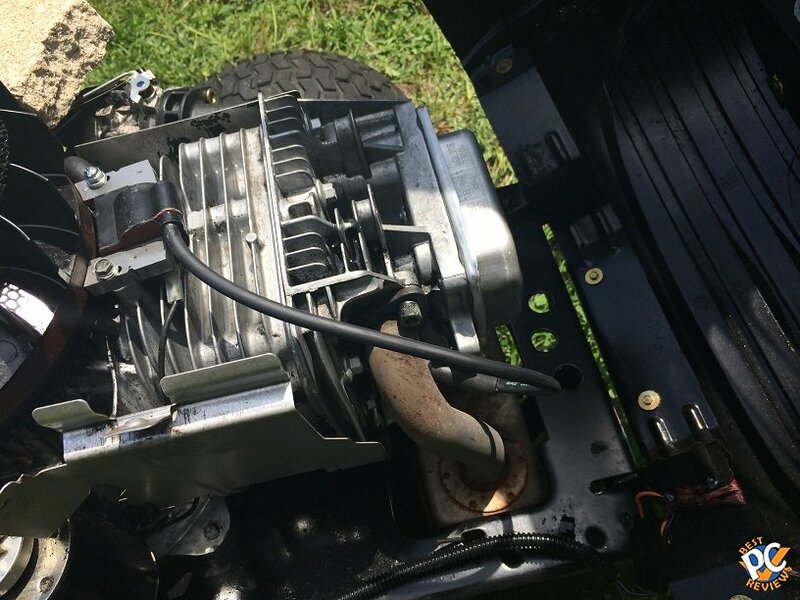 Once the cover removed, you’ll see the ignition coil and wire in the plain view. 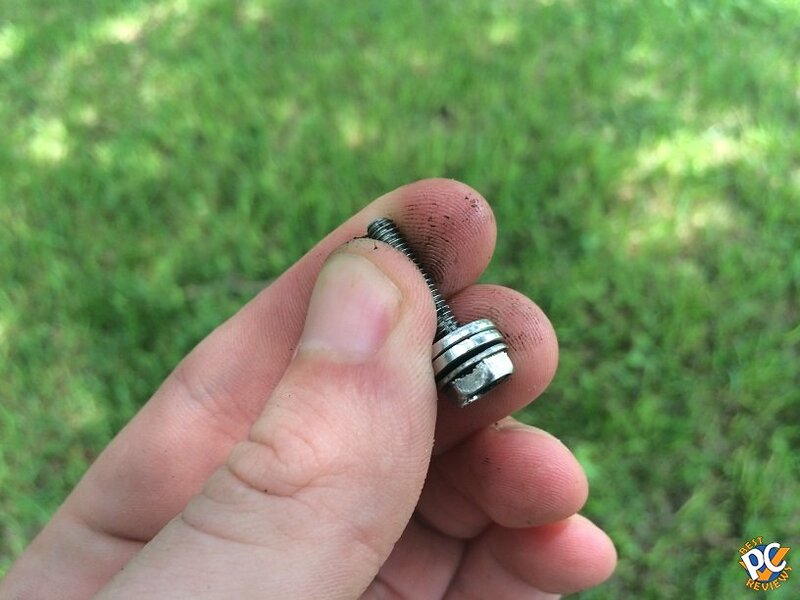 Remove the wire from a spark plug. First, twist of the spark plug cover. 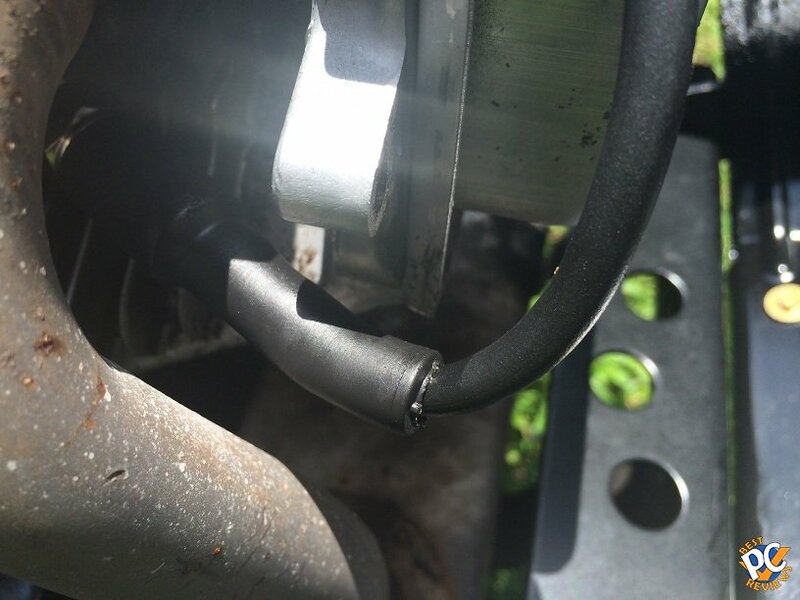 Once that pushed away, remove spark plug connector from the spark plug. Now you have to remove the coil. 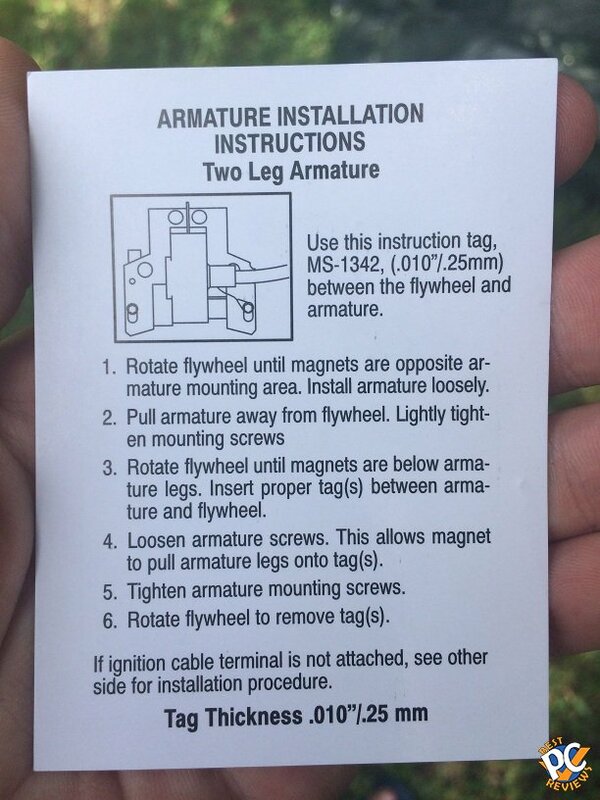 Just take two screws out, but don’t take the coil completely off. There is connector under the coil. Gently pull away the connector. Don’t damage it. 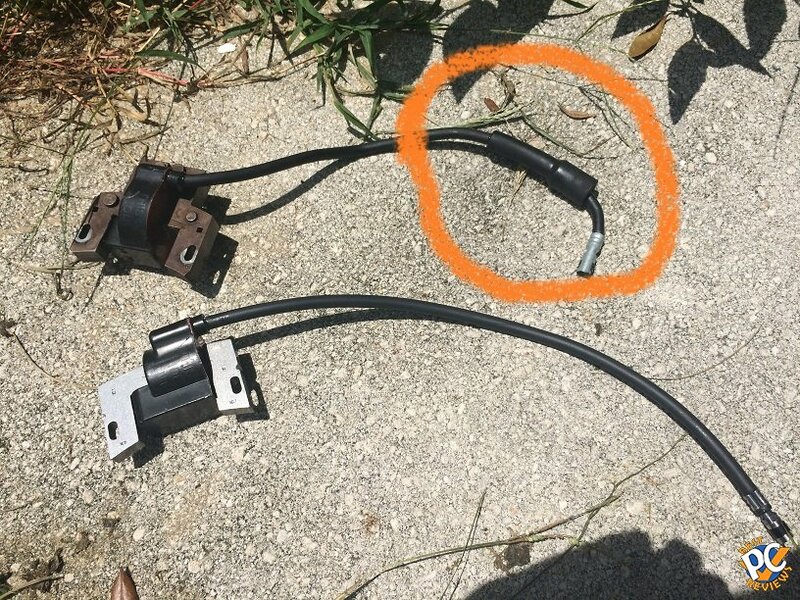 With the coil missing, it may be a good time to clean the area, but it’s optional. Now take a new coil and lightly secure it there with two screws. Don’t screw it in all the way. Now take a paper that came with your coil (make sure you use OEM coil) and put it between the coil and flywheel. Rotate the flywheel until magnets on the flywheel are next to the coil. You may notice the coil move towards the flywheel. Now it’s time to tighten up the coil. Now you can use torque steps. I used that and end up breaking one of the screws. I’d recommend to tight it, but not too much. Best way is to remember how tight the screws are when you remove the original coil. Now, when the coil is secure, rotate the flywheel and then remove the piece of paper. 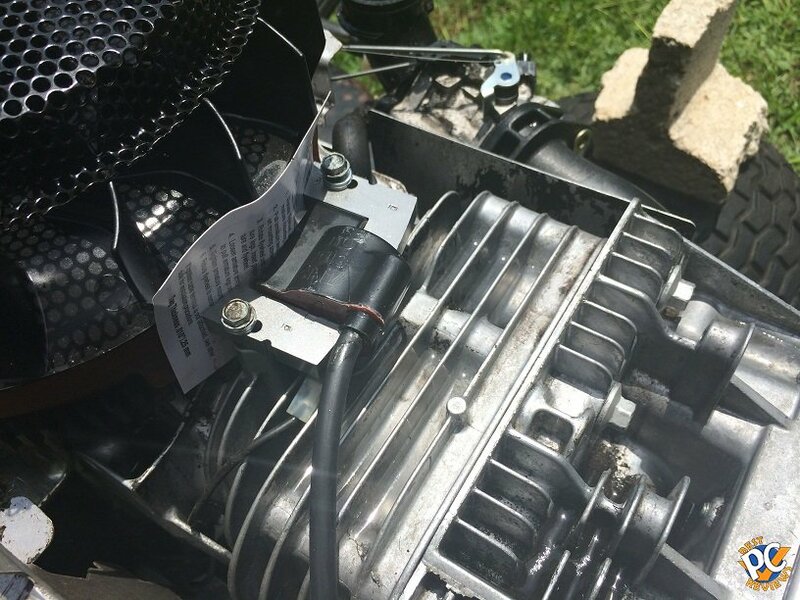 Take spark plug cover from old coil wire and push it inside the new coil wire. Connect the wire to the spark plug. 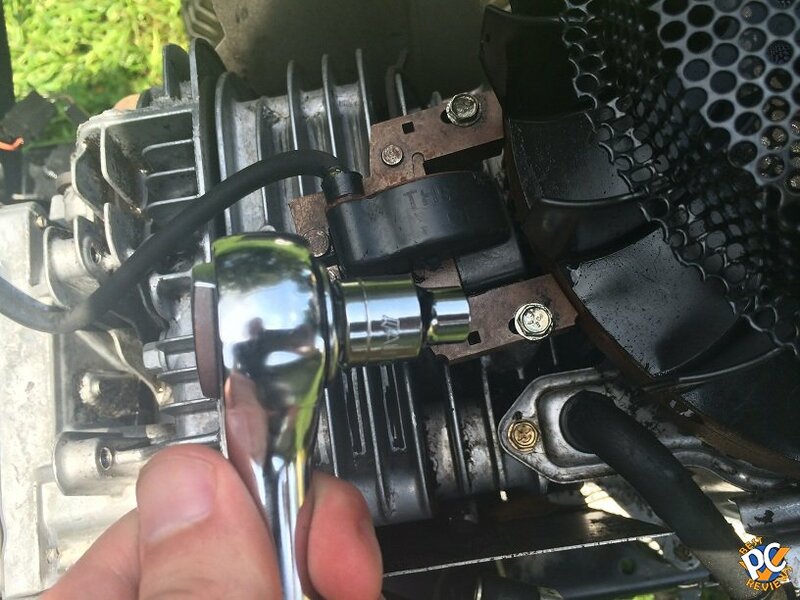 Install the cover over your spark plug. Time to put the engine cover back up. 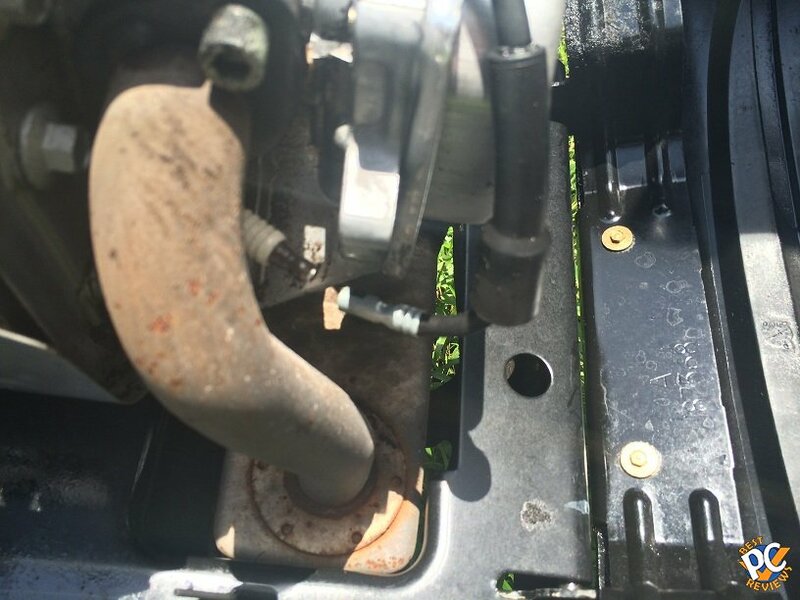 If you had to move gas tank, put it back in and secure it with two screws after engine cover is secured. You are all set. 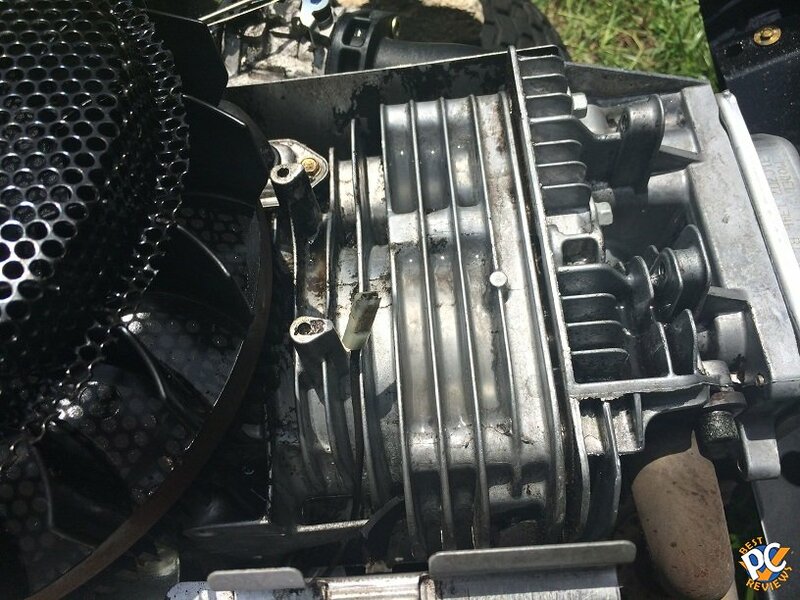 Your lawn mower should be running with no further problems. If you are unable to do the work safely and successfully, hire a professional. Use the guide at your own risk. What is head size off the screws ? I believe its 12mm, but it was awhile ago, so I could be wrong. Let me know when you get to it.